Have you made your business resolutions for 2012? This is a great time to reevaluate what went well last year, what didn’t, and what is worth your time going forward. Sure, year-long plans inevitably get trumped here and there, but you can do a few things in the first quarter to set yourself up for success over the long-term. For the sake of a brainstorm, I’ve listed a few below. Figure out what makes you money. It’s really a simple concept, but if understood, it will guide your decisions. Your business certainly brings in cash, but what does it profit from? What enables you to cover your costs and cushion your bank account? Identifying the products and services that you not only sell the most of, but provide you with the largest margin of profit to work with. Check out this USA Today Money article for more tips. Figure out who makes you money. This is a tip I gained from a mentor of mine a while back. 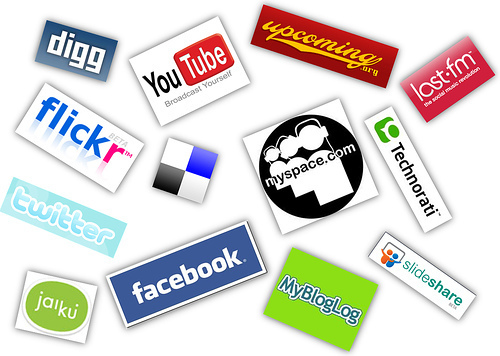 Start listing the referrals and resources that direct business your way, and the type of business you receive. If applicable, continue to map second and third degree referrals directing you business. This too will illustrate where your efforts might best be placed when trying to deepen your clientele. Utilize your contact management system. If you don’t have one, now’s the time to develop it. And if you have one, it’s time to use it creatively. How? The premise is not just about what software to use, but how to develop a system of maintaining relationships with your customers. This Bloomberg Businessweek article explains this premise, and offers a few links to further resources. It’s all about finding a system that you and your team can incorporate into daily routines, otherwise there’s no value to having one. Take a moment to think through what proved successful in 2011, and what fell short despite your greatest efforts. We often get caught up with trying to do everything at once and immediately in an attempt to capture opportunities we think will prove fruitful. With a little strategy and foresight, your 2012 business resolutions just might prove even more successful and profitable – and it might not be worth doing everything either. Enjoy the process and don’t forget to celebrate the little milestones along the way. Consider how this data is applied – such as in the nonprofit world. Reaching out to an organization’s membership requires a strategy beyond a simple e-mail here and there. Social networks provide the capability of having a presence where people already spend their time; why not engage your demographic in your cause at the same time? Facebook continues to be the most visited site for social networking across the ages (see this great chart), but that doesn’t mean that you shouldn’t discount the social media network suite of Facebook, Twitter, and LinkedIn. With a tactical communication strategy that supports your goals, each medium can enhance your ability for reaching your demographic. What this Pew Internet & American Life Project survey presents is the opportunity available to organizations for revised marketing tactics and community engagement vehicles. Baby Boomers are just one demographic leaping into the mix, consider your target audience and capture their attention! It’s an understatement to say that food trucks are all the rage because it’s literally a “movement.” And really, this isn’t surprising as small businesses and entrepreneurial start-ups are thriving in this economy. Food trucks are the epitome of small, mobile, adaptable businesses going after their target markets. 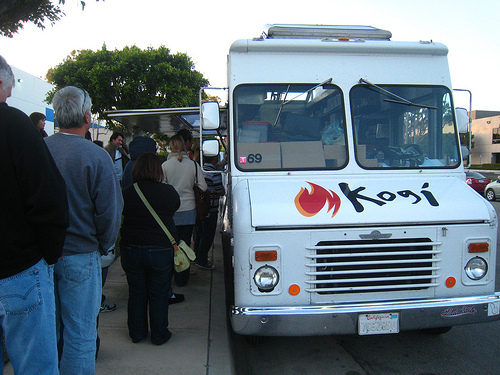 Notably, a GPS-oriented Food Truck App launched this spring, debuted by the company that leased Kogi BBQ its first truck and helped kick off the nouveau food truck craze. Roy Choi of Kogi BBQ is also one of Food and Wine‘s Top Chefs of 2010 (check out his business tips). Additionally, the Food Network is premiering its new show Food Trucks later this summer on August 15, 2010. So it’s already been a big year for food trucks! And as cities across the county take pride in their favorites, this national sensation not only bolsters the local economy, tourists flock toward them too. So what does it take to run a food truck? Well, the biggest seller for jumping into the market is mobility and a somewhat lower initial capital investment – over a brick-and-mortar restaurant. But as every entrepreneur will tell you, it’s easy to run after tangents that spider off of an original business model, that is if you have one. Inc.com posted an informative article about “How to Open a Successful Food Truck,” which also included a number of operational considerations such as city permits, insurance, and parking fees. New York Magazine also published an article on “How to Start Your Own Food Truck,” noting start-up operating costs and acquiring/retrofitting a truck as significant measures to acknowledge. Probably one of the most influential contributors to the making of a successful food truck culture in any city are the street vendor licensing and permitting requirements. The Seattle Times recently posted an article in its Retail Report about how the Mayor plans to recommend street food rule changes to the City Council. “Street Vendors” are even qualified as a characteristic of a thriving business district by the Seattle Office of Economic Development. Yet, a number of strict regulations imposed in the 1980’s have limited Seattle’s street food scene to a minimal number of trucks and a battalion of hot dog, popcorn, and espresso vendors. Check out the main changes being proposed here. There’s a mixed emotion for the relaxed rules, given the potential for increased business competition. And there may be a few learning opportunities from Portland’s street food scene. In Seattle we’re fortunate to have a wealth of fresh, local, and creative food – it will be interesting to see how a bigger food truck scene reflects this. And with our successful farmers market culture, I wonder if the mobile CSAs of New York City will make their move West – will truck farming be the next movement? In this economy, it’s great to hear that manufacturing and service service sector companies are expected to add to their payrolls at a much higher rate in June 2010 than they did in June 2009, according to a recent survey by SHRM. 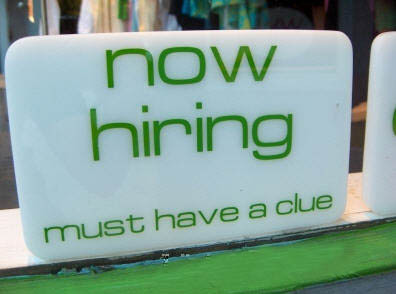 The survey also indicated that small business hiring also grew in May 2010. In fact, a Small Business Administration economist even mentioned that small businesses are adding workers as net job losses in the economy as a whole persist. In the aggregate, we’re not seeing dramatic changes, but we’re at least seeing changes in a positive direction. As with any business, especially a small one, recruiting and hiring the right people for your business is crucial. I’ve previously written about the “Science of Hiring,” particularly the costs associated with a bad hire. Knowing when to hire and how to go about doing so is just as important as picking the right candidate for the job. Growing your workforce is an investment, so it makes sense to have a tactical approach to hiring. Federal and State payroll taxes – including Social Security/FICA, Medicare, unemployment, and workers compensation. Employee benefits – such as health insurance, retirement savings plans, life insurance, and long term disability insurance. Cash-flow projections associated with your employee’s pay periods. Employee workspace and computer system use. Know what position you want to fill. It’s worth stopping to think, “do I really need to hire someone?” Many services can be outsourced or done by free-lancers; this work may include accounting, manufacturing, website design, marketing and public relations. Deciding what tasks to outsource and what to hire an employee for may come down to whether the work lies within your business’ core areas of strength and whether that function is needed on a regular basis. Choosing a position to hire is not just about offloading chores, it’s a decision about the path of your business’ growth. Know what to expect from your new hire. Before you advertise for help, sit down and write a job description. Job descriptions are communication tools, set yourself up for a great working relationship by being able to clearly articulate the job to all applicants. This document presents an excellent guide for developing effective job descriptions. OPEN Forum by American Express. In generating content for my blog, I do a lot of Googling. Given that we’re at the start of the year, I’ve been interested in learning about the trending topics of interest for small businesses in the coming year. 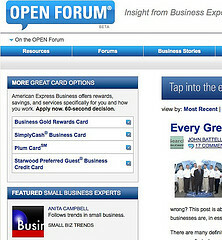 And in my search, I found a great article listing the “Five Trends That Will Shape Small Business in 2010” on American Express’ OPEN Forum website. With a title like that, it’s hard not to look (and it’s actually a pretty good forecast). After reading the article and looking around at the tabs and additional columns on the site, I became really intrigued at what American Express had to offer small business owners through it’s OPEN Forum site. What is it actually? Chris Brogan recently wrote about it and explained the site as “a blog area that aggregates interesting business content, with the mindset of gathering a conversation in a sponsored area.” Spot on. It’s a place to find insight and perspectives from business experts on current issues. And it’s also a way for American Express to spread its brand across select blog content. Regardless as to whether you’re an AMEX card owner, this is a great site to peruse for information about running a successful small business. And in recognition that 40% of the nation’s businesses are owned by women, representing 16% of jobs in the U.S., American Express is partnering with Count Me In, Women Impacting Public Policy, SCORE, eWomenNetwork, National Association for Women Business Owners, Women President’s Organization, and Women’s Leadership Exchange to produce the American Express OPEN Women’s Business Summit in February 2010. Even if you’re not attending, I’m sure that the OPEN Forum site will post lots of related discussions and articles surrounding the event to read. I’m really excited about OPEN Forum. Yes, it’s a place for AMEX to bolster it’s presence and attract new customers. But it’s also a great example of how a company can use it’s own metrics and resources to build a content network of information curated by leading experts, and become a facilitator for succeeding conversations therefrom. It’s an extension from the blogs and social media relied upon by small business owners, and it’s unique community oriented site. You can also stay up to date by following OPEN Forum on Twitter, where they post much of their aggregated article content. Photo courtesy of Chris Brogan. You had me at “hello”: Operations done right. Recently, I spoke with Nathan Hambley of The Frause Group about public relations (PR) and small businesses. At Frause, Nathan manages hospitality accounts and supports in other categories like real estate, consumer products and professional services. Over lunch, we discussed how businesses use and reference PR and how PR is used for damage control. With regard to the timing of PR, Nathan’s number one suggestion for businesses is to “nail their operations first.” This seems like a simple concept, but we all know of a business or restaurant that lost your business because their service didn’t make par. If a business has a clear focus on how to conduct their operations and they’ve mastered the process, PR simply compliments their existing success. 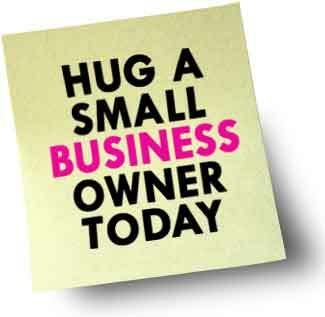 And in this struggling economy, the last thing a business owner wants to do is spend money on damage control. So is there a framework to follow for nailing business operations? Well, nothing tied to your business in particular, but there are some general concepts that are applicable to all businesses. It’s not rocket science. But when it is so easy to get bogged down by day-to-day operations, these fundamental business concepts are a good broad level focus reminder.